Where the cul-de-sac is named after the trees they knocked down. In one of the calmer discussions with a couple friends who mostly disagree with me, I made a prediction about Walker's transportation policy and was asked to defend what I said. Big topic all by itself. I said I'd come back to it, so here it is. I'll start with this Amusing Anecdote®, because where we live as teenagers is what informs our first opinions about how we get from place to place. 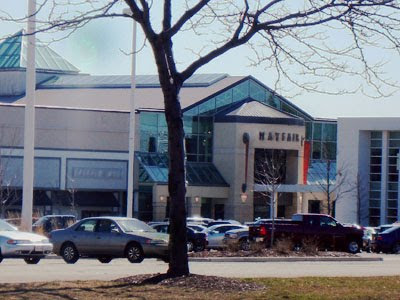 One day just over 20 years ago, a friend showed me the Wauwatosa Village area. 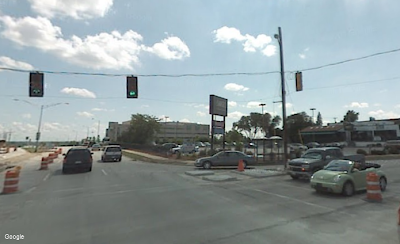 Those familiar with metro Milwaukee will know this area as the confluence of Harwood Avenue, State Street, and the Menomonee River. See above. This would not be at all remarkable except that, despite being born and raised in this part of Wisconsin, until that day I had no idea this place existed. All of which was just fine and dandy as far as I was concerned. Cars and highways were as normal as the popular kids having keggers on Friday night. Not that I'd had that experience, but whatever. I knew little else of lifestyles outside my subdivision on the semi-rural fringe of New Berlin, some 30-odd minutes from the center of the state’s largest city. I reacted stupidly to learning of the existence of The Village. "Wow!" I’m pretty sure I exclaimed, wide eyes peering out from under some very bad hair, "Is this, like...a tourist place?" I am not making this up. 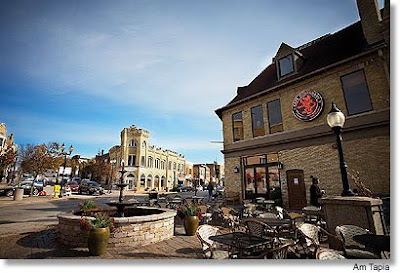 My friend Kathy, having grown up only a couple miles from this spot, undoubtedly rolled her eyes at the person she often referred to as "Farm Boy" and quietly informed him – me – that, nice as it was (and remains), this was not, for example, Galena, IL, or some quaint town in Door County. No, it had always been here, and though not touristy, it had its charms. That part, at least, was clear to me even then. But I could not have told you why. In hindsight, it should have been obvious why. The Village is a throwback, recalling a time when most towns were built around people. We'll come back to that a lot, but for now, it's enough to say this place is "human-scaled." It is completely functional for pedestrians. Residents and visitors can - in no particular order - purchase ice cream, aspirin, and groceries, do their banking, go to church, dine out, and get crocked if they want to, all without having to start a car. But at the time, I didn't understand any of this. From the shiny happy day I acquired my temps, the first question I'd ask, upon going someplace I hadn’t been before, was almost invariably, "where do I park?" (You do this too. Admit it.) 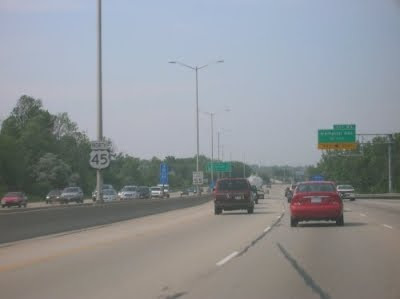 I’d chosen to go to an urban university, but during freshman and sophomore year, I distinctly remember thinking – more than a couple times – how nice it would be if Marquette would pack up and move to a nice suburban location with big parking lots and a freeway interchange nearby. You know, so I could have a place to put my car AND not have to worry about the terrifying kinds of people who lurked in the downtown shadows, ready to violate my car as soon as nobody was looking. That's how it is. The automobile is sacrosanct and highways are an entitlement. Most of us take this as an article of faith before we can reach a gas pedal. Before The Village - and even for years after; let's be honest here - I couldn’t think of a time when anyone I knew didn’t want the nicest ride he or she could afford. Or pretend to afford. So if the car is priority, you can guess what follows. The next priority will be nice roads to drive it on and big, convenient spaces or structures to stash it, day and night. In the Facebook argument, I said something uncharitable about how freeways rate at appropriation time, and I got the expected response of freeways=good, without elaboration. But my good friend also asked me where my opinion came from, as he himself appears to have given the subject a passing thought over the years. So OB, I hope you didn't doze off while reading, because, well, you asked....and Part 2 is on the way. highways = good is an assumption that gets on my nerves. Life = good, that's OK. paying homage to the almighty car is what our society has been about since the 60s, right? Wasn't it big auto companies that initially destroyed the electric mass transit of decades past? I'd say you're right. To this day I don't know if we fully comprehend what an unprecedented marketing success story Detroit showed us in the 50's and 60's.